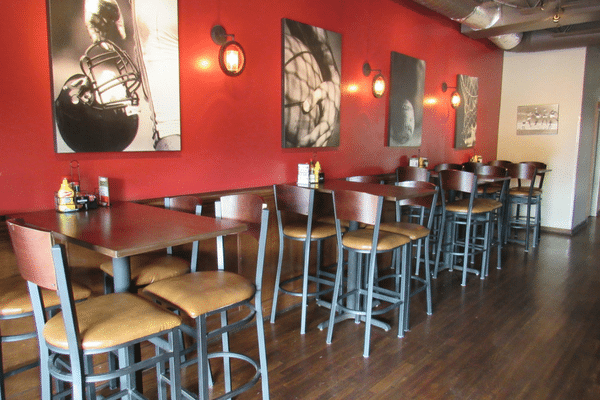 We can cater to any size or any occasion. 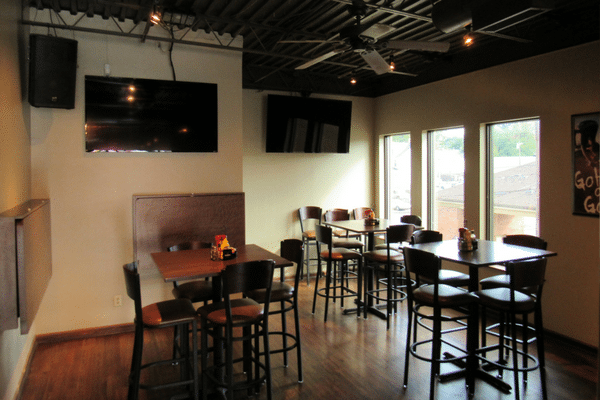 Our private party room is located on the second floor. We require a minimum of $400 Sunday-Thursday + $100 Room Charge & a minimum of $600 Friday / Saturday + $200 Room Charge. 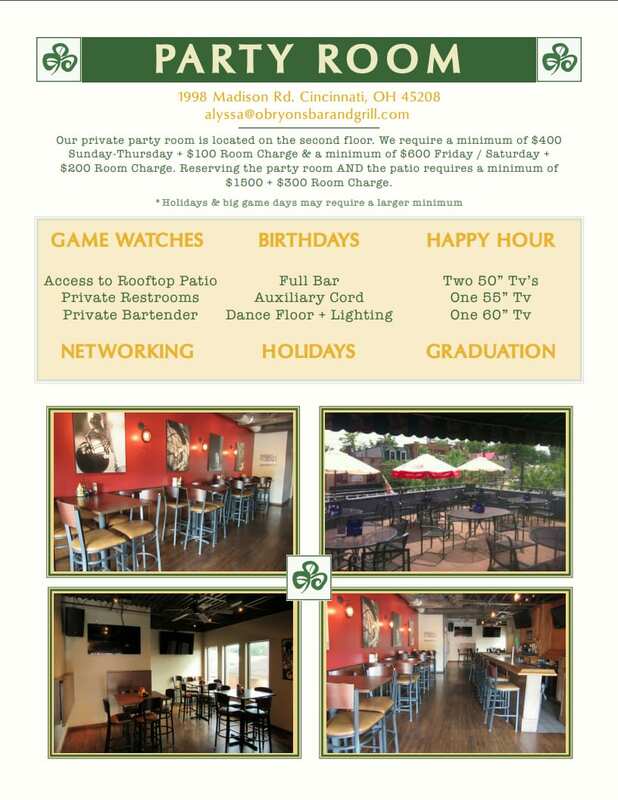 Reserving the party room AND the patio requires a minimum of $1500 + $300 Room Charge. 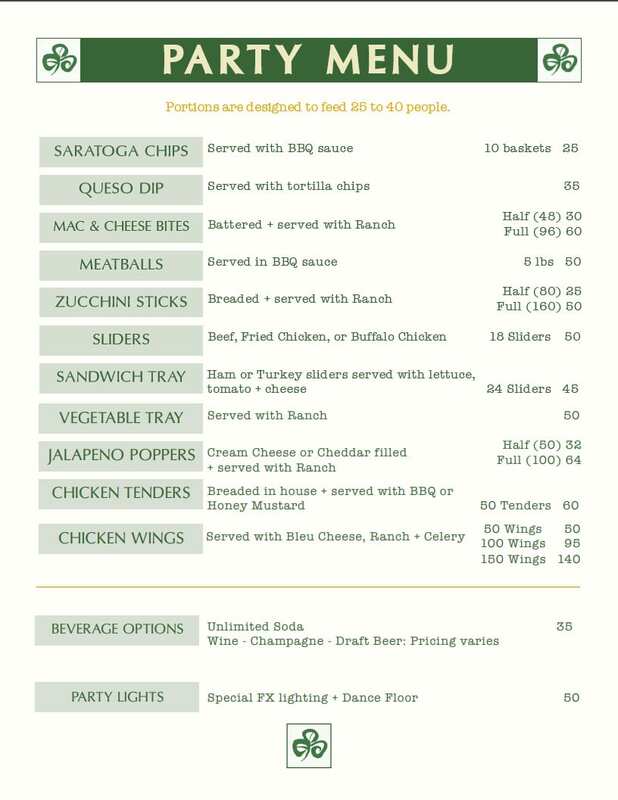 We want you have your party the way you want to - you can order food trays from our Large Party Menu or order off of our regular menu, have a keg, an open bar OR just have a cash bar. We furnish the plates, napkins and utensils. We provide a friendly bartender. We clean it up. All you have to do is show up and have a good time! For more information submit the request form below. 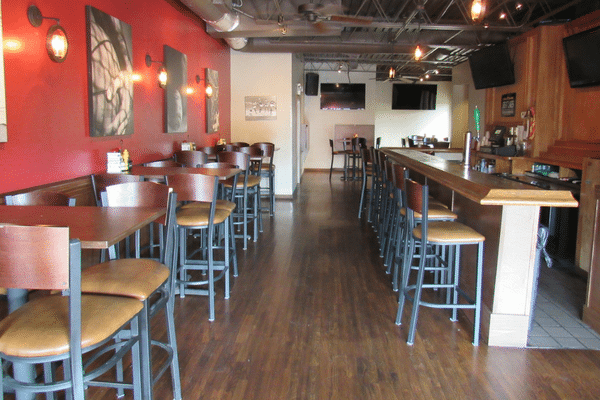 © 2018 O'Bryon's Bar & Grill. All Rights Reserved.